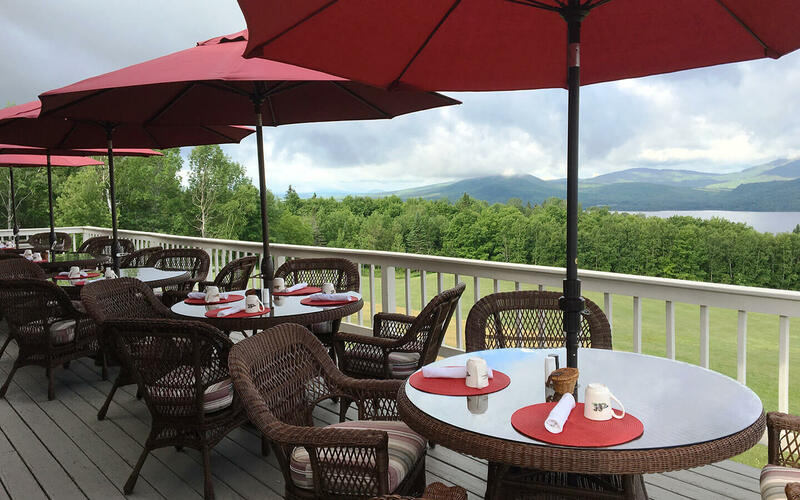 Overnight lodging guests exclusively are greeted every morning with breakfast in the Lakeview dining room or outside deck (weather permitting) under our beautiful red umbrellas. We offer many choices giving you a hearty option for a day of hiking or kayaking to lighter fare for a more relaxed day. No matter your breakfast needs, we always provide healthy choices. 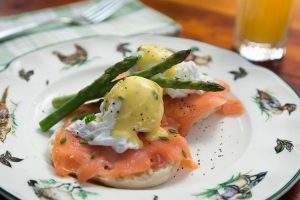 Chef Dennis prepares a hot entrée alternating each day between sweet and savory, and he also offers eggs any style. 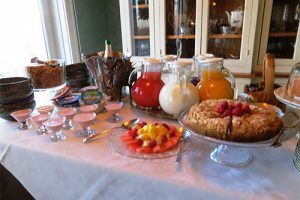 Guests can make choices between juices, yogurts, cereal, breads and fresh made pastries that morning. Fresh pastries include strudel, scones, muffins, banana breads and more. Sometimes you’ll see fruit smoothies, our Granola Fruit Parfaits and our own smoked meats. Breakfast is served between 8:00 a.m. and 9:00 a.m. but if you have an early fishing date or are leaving on an early morning North woods adventure – let us know and we’ll get you on your way. 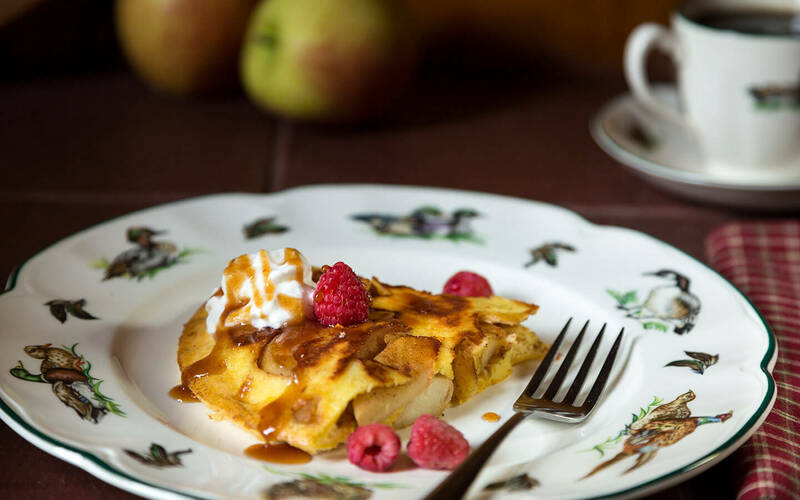 Breakfast in your room is also an option; we request notice at least the evening prior for this relaxing treat. We do our best to accommodate dietary constraints. Let us know you are staying for dinner in our Greenville Maine Restaurant. 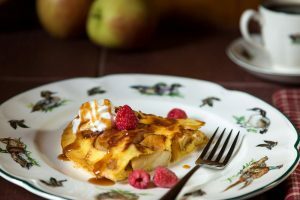 Overnight lodging guests enjoy dinner at the Lodge on Wednesday, Friday and Sunday evenings from 5:30 p.m. to 8:00 p.m. Choices of fresh fruit, pastries, juices, cereal, breads and yogurts are always available. Eggs are available daily any way you would like. Items may change based on product availability. Please let us know of dietary restrictions as soon as possible.